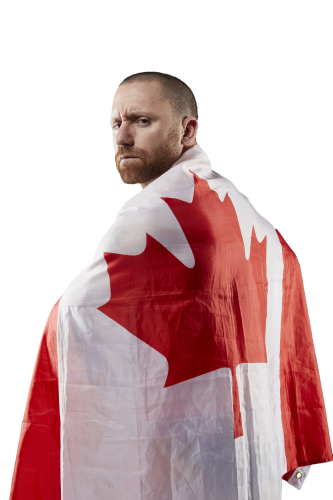 For 15 years, Petey Williams has been sticking his opponents in the mat with his trademark move, The Canadian Destroyer. The physics-defying finisher is not only visually pleasing, it also typically leads to a victory. The “sick, flip piledriver” – as announcer Mike Tenay described it – caught fire when it was initially unveiled, spawning several imitations and variations. As much as almost any wrestler in the world, ‘Maple Leaf Muscle’ is identified hand-in-hand with his classic, signature move. And it all started with Matt Sydal. 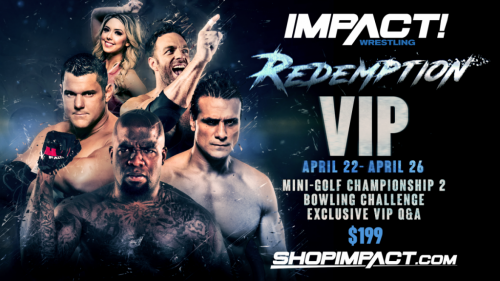 The Canadian Destroyer was born during the first-ever singles encounter between Williams and Sydal, during a match for IWA Mid-South Wrestling in Indiana in 2003 – about 15 years to the day they will meet again, at Impact’s Redemption pay per view on April 22nd. “Matt was the first person ever to take the Destroyer,” Williams told TheGorillaPosition.com this week. “The pay per view is actually, almost to the date of when it happened. That was our first time in the ring in a singles match. and I think it happened around late March or early April”. Since then, both men have established themselves as innovators of a new era. As the high-flying style of wrestling evolved over the last decade, they are often mentioned among the names who were at the forefront of it all. While Sydal went on to a WWE run as Evan Bourne, and eventually found his way to the company, Williams became a staple of Impact. Now, the pair will meet up again, with a prize on the line that Williams knows rather well. He’s already held the X-Division title on two different occasions in his career. That extra bit of nostalgia will also lend itself to his opponent, although he says their background extends far beyond just the origin of Williams’ pet move. For the Impact Original, it’s pretty strange to think everything started with TNA Wrestling in Nashville at the old Asylum. The company is now, technically speaking, the biggest professional wrestling promotion in the land he calls home. For the company’s Canadian-heavy roster, the move has worked out on several fronts. Williams says looking back, however, he never could have fathomed that Impact would eventually move into his neck of the woods. Williams was often recognized as the de facto leader of Team Canada, which included former members like Bobby Roode and Eric Young. 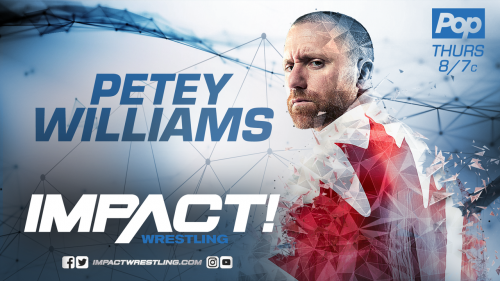 Hailing from Ontario, Williams also says that current Impact executive Scott D’Amore was a huge influence on his career going back to their days as part of Border City Wrestling, as well as Team Canada. 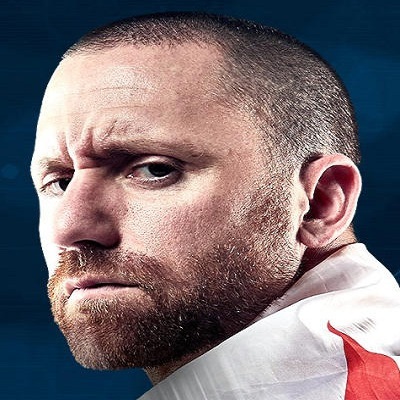 Now, his former ‘Coach’ is one of the leading minds in the company, alongside Don Callis, and, Sonjay Dutt. Williams also says he isn’t surprised by the success his longtime friend and in-ring rival, Dutt, whose been making a smooth transition from competition to the front office and color commentary duties. Heading into the pay per view, the veteran says that- win or lose- his health won’t be an issue. Despite all the risks he’s taken, Williams has not suffered a major physical setback during his illustrious career. Even still, Williams continued to point out that he and the champion, Sydal, are no strangers to each other. So he won’t be afraid to pull out all the stops. Unlike that first encounter 15 years ago, however, they won’t be tempted to try to blow the roof off the building. Despite their fast-paced styles, the challenger says, it’s more about knowing how to tell a story in the ring. 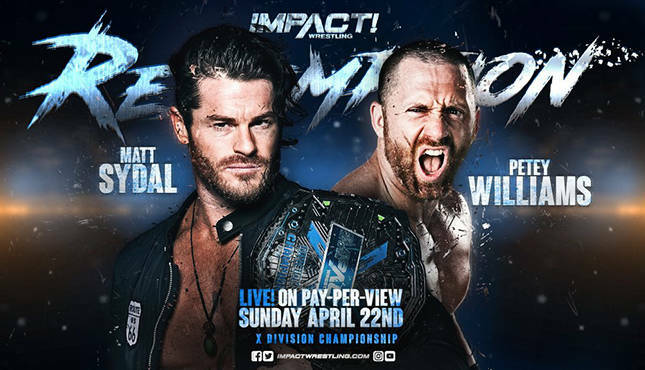 At Redemption, Williams won’t go so far as to guarantee an anniversary-marking Destroyer, but he does promise that the fans will get their money’s worth in the X-Division title showdown. He knows that he and Sydal will have the potential for one the best matches on the card when it all finally comes full circle…15 years later. “We’ve both been down this road before, and we’ve been there together. I think we’re going to out a lot more thought into this match, and that’s why I think, it has the potential to be one of my best matches ever.”. on iTunes, iHeart Radio, and multiple other platforms.